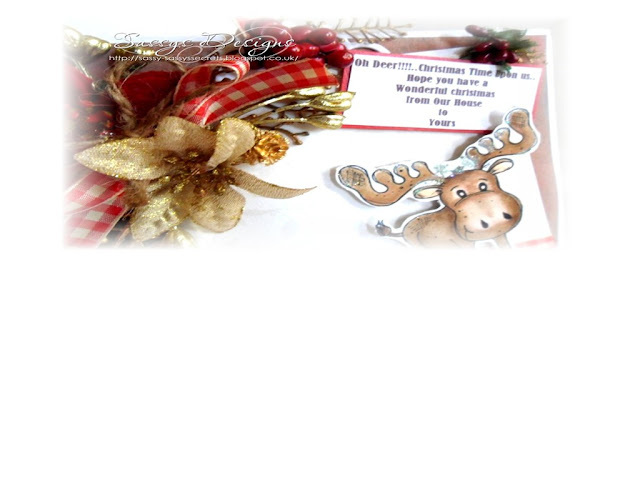 Stunning card Sassy! That moose is fabulous and the gingerbread man is so cute! Beautiful colours and details! 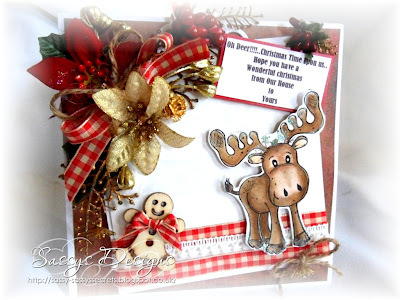 Gorgeous card Sassy, love that cute reindeer and the little gingerbread man. The colours are fabulous too. Wow, absolutely fantastic! Love the little reindeer! fantastic card Sassy - don't know how you think them up! this looks great! 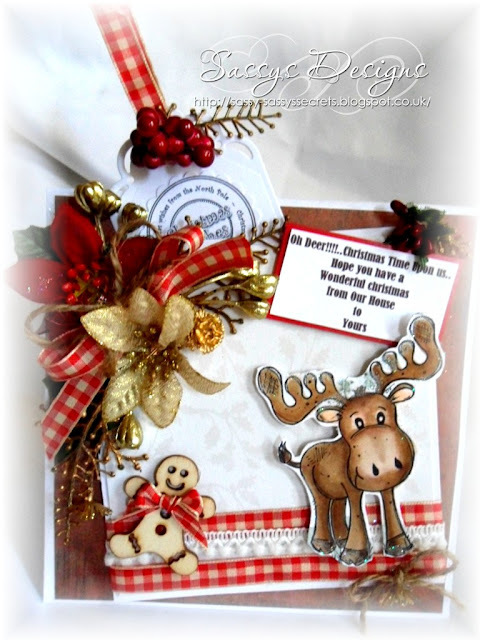 Gorgeous card sassy, I like the image the wee gingerbread man and the poinsettia. Oh that is so gorgeous Sassy. It looks amazing! 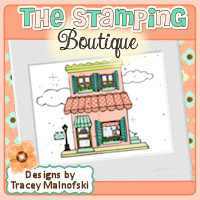 Awesome card Sassy I adore that cute image but my eye was caught by that fantastic and very beautiful corner display, amazing work.